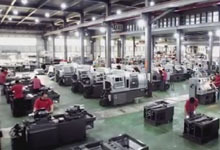 We don't just assemble the machines, we make them! 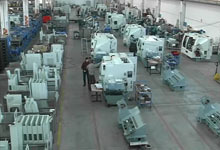 …from pouring the castings, machining the castings, making our own turrets, to painting the machines. Request a Brochure and Pricing for Eurotech's line! 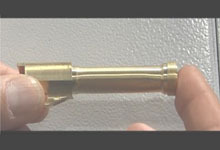 Request a Brochure and Pricing for the Fastest Universal Bar/Chucker on the Market! 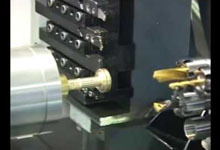 Fully adjustable gear hobbing tool completes complex parts in 1 operation, including gears and splines. 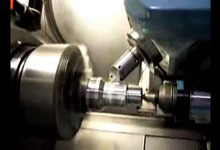 Request a Brochure and Pricing for Eurotech's Gear Hobbing Machine! 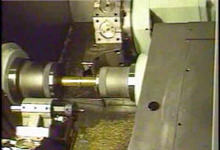 Rifle barrel machining – ideal machine for holding critical tolerances for shaft or cylinders. 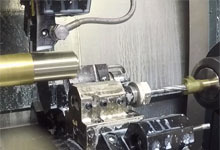 Request a Brochure and Pricing for the B1200 Rifle machine! 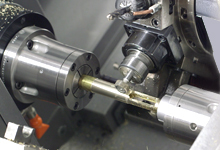 Request a Brochure and Pricing for the B1250 Gun Barrel Machine! 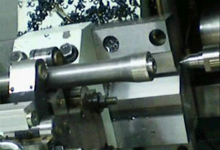 Request a Brochure and Pricing for Eurotech's AR-15 Bolt Carrier Machine! Bolt completed in one operation, unattended. 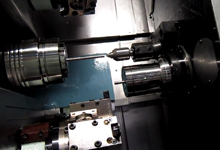 Request a Brochure and Pricing for Eurotech's AR-15 Bolt Machine! 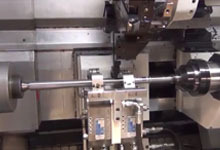 Eurotech’s design with Clearshift sub-spindle and parts gantry system = cycle time has been reduced to 3 minutes and 47 seconds. 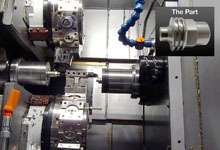 Get a Brochure and Pricing for Eurotech's Pistol Barrel Machine! 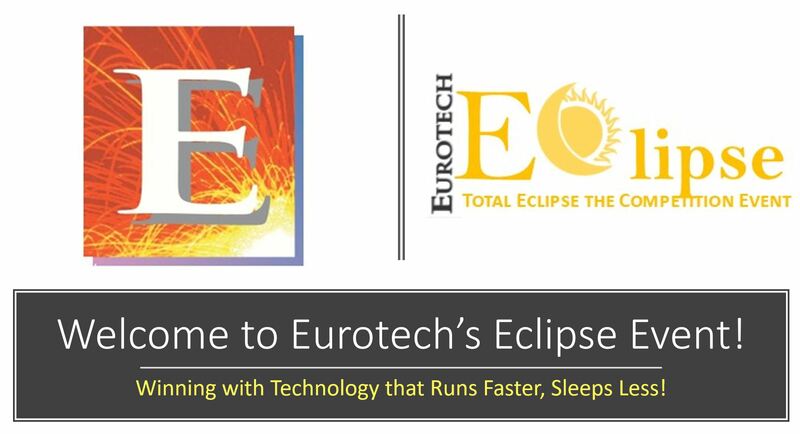 Get a Brochure and Pricing for a lightning fast Eurotech Trofeo! 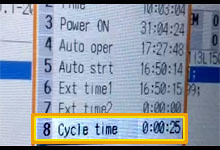 Scary Fast 10-axis out-performs Swiss on Tough Parts: Eurotech's Superimposing Software achieves Simultaneous 3 Tools-in-the-Cut! Destroy the competition with a lightning fast Eurotech Rapido! Get your Brochure and Pricing today! Seeing is believing. This is real time! 15 HP Main and Sub, 5 HP Live Tools, 3 Tools in the Cut, Eurotech Ladder Logic, Unmatched Accel/Deceleration Speed, Bar work, Chuck work, Tailstock work, Superimpose Sub-spindle, up to 96 Cutting Tools, 1.42" Bar capacity, 4" Chucking. 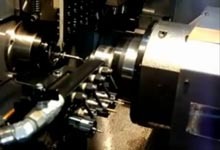 B436Y2 Rapido, utilizing the rigidity and HP of the sub spindle to polygon turn on the main spindle (1 cut including chamfers), AISI 303 stainless. 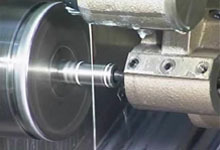 Request a Brochure and Pricing for Eurotech's Long Shaft Machine! Request a Brochure and Pricing for a Eurotech Multipla! 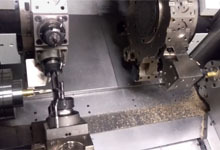 Over 4,000 complex part mix is solved using Eurotech Trofeo machine and PartMaker software. 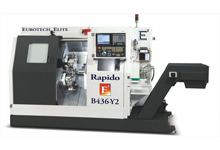 Request a Brochure and Pricing for Eurotech's Machines! The SmartTurn has an additional tool change area to use longer tools; longer bed machine and additional ATC for extended tool length. Request a Brochure and Pricing for Eurotech's Long Shaft SmartTurn! Request a Brochure and Pricing for a Eurotech SmartTurn! Request a Brochure and Pricing for a SwissTurn Diamont! 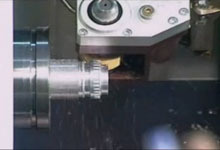 The superior design delivers extremely efficient and fast production of complex parts using live tools, Y-axis and C-axis. Request a Brochure and Pricing for a SwissTurn Gepard! Up to 16mm bar, up to 10 working axes, 2 Y-axes and 6 fully programmable (360 degree) tools working on both main and sub-spindles. Request a Brochure and Pricing for a SwissTurn Blitz! 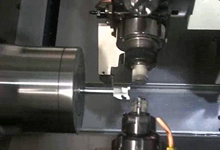 Sub-spindle, Y-axis, and a fully programmable B-axis that works on both main and sub-spindles. Request a Brochure and Pricing for a SwissTurn Zeit! 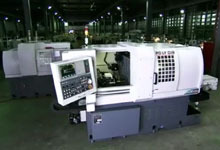 Po Ly GIM Mini-88 - Super Compact CNC with Y-Axis flexibility. 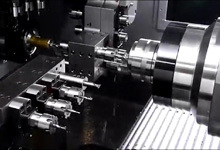 Extremely complex part solved with Polygim Zeit 42 SLY and PartMaker programming software. 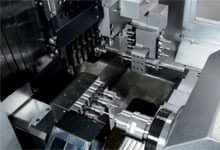 Request a Brochure and Pricing for a Eurotech SwissTurn Machine! 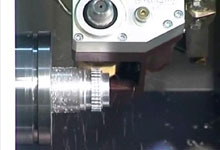 Eurotech/Spinner machine tools are prized by the metal machining industries for their high efficiency, precision and reliability. 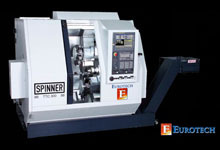 Get some more info and pricing on the Eurotech/Spinner machines! 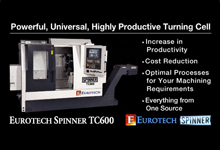 Request a Brochure and Pricing for a Eurotech/Spinner TC600! 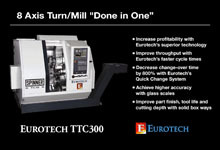 8 Axis Turn/Mill "Done in One"
Request a Brochure and Pricing for a Eurotech/Spinner TTC300! 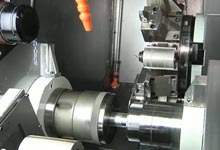 Want more info on our single turret machines? 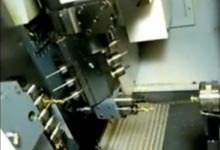 Request more info for our SwissTurn machines? Request more info for our SwissTurn Zeit? 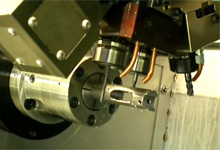 Request a Brochure and Pricing for Eurotech's MT Tooling Solutions! 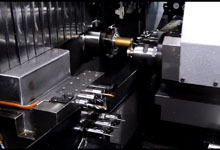 Request a Brochure and Pricing for Eurotech's B545/735/835 Series Turning Centers! Eurotech Triple Y-Axis Turret Multipla - One & Done! 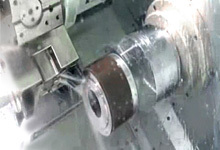 Eurotech Multipla B465-T3Y3, the Most Flexible Machining Cell, Makes the Toughest Tool Easy & Fast! Request a Brochure and Pricing for Eurotech's Triple-Turret Multipla Series Flexible Machine Cells! 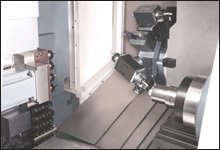 Request a Brochure and Pricing for SwissTurn Kobra Series 7-Axis Swiss-Type Auto Lathes! The Eurotech Spinner TTC300 features dual turrets, live tools on every station, Y-axis & Fanuc 31i Control. 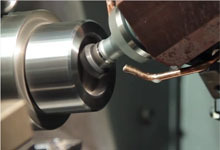 It's state of the art, compact design is ideal for bar or small chuck work. 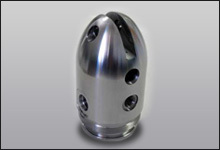 Request a Brochure and Pricing for Spinner Twin-Turret Series CNC Turn/Mill Centers! 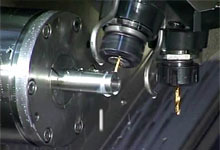 Unbelievable number of live tools, high horsepower - made for high ROI hydraulic part machining. 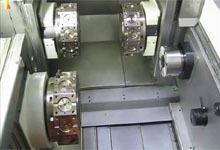 Simultaneous Front and Back CNC Multi-axis Swiss-type Machining. Complex parts complete in 1-Op! 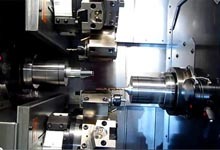 Eurotech TTC300 Series - 8 Axis Turn/Mill "Done in One"
Increase profitability with Eurotech’s Superior Technology by Improving throughput with Eurotech’s faster cycle times, and decreasing change-over time by 800% with Eurotech’s Quick Tool-Change System. 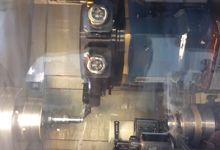 B750 Stallion Dual-Spindle Turn/Mill Complex Part in 1-OP! 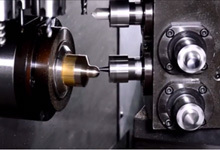 The combination of the high precision spindles with roller and ball bearings plus the high torque and power range available at low rpm allow superb chip removal rates as well as exceptional surface finish and roundness accuracy. Request a Brochure and Pricing for a B750 Stallion! 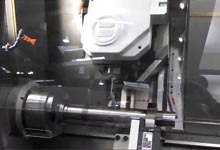 Eurotech's new SwissTurn Xtreme 9-Axis Hybrid Turn/Mill Bar, One and Done Machine seen at Shot Show 2018. 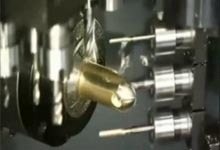 Machining complex gun parts in one operation. 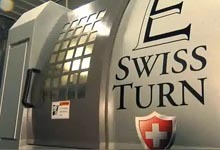 Request a Brochure and Pricing for a SwissTurn Xtreme! 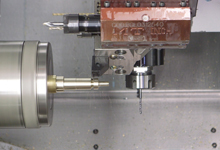 Eurotech's new Rapido B438-SY2 Univeral CNC machining APX pistol barrel in 1-Op, utilizing Main & Sub, 2Y-axes, and live and static tooling. Request a Brochure and Pricing for a Rapido B438-SY2!